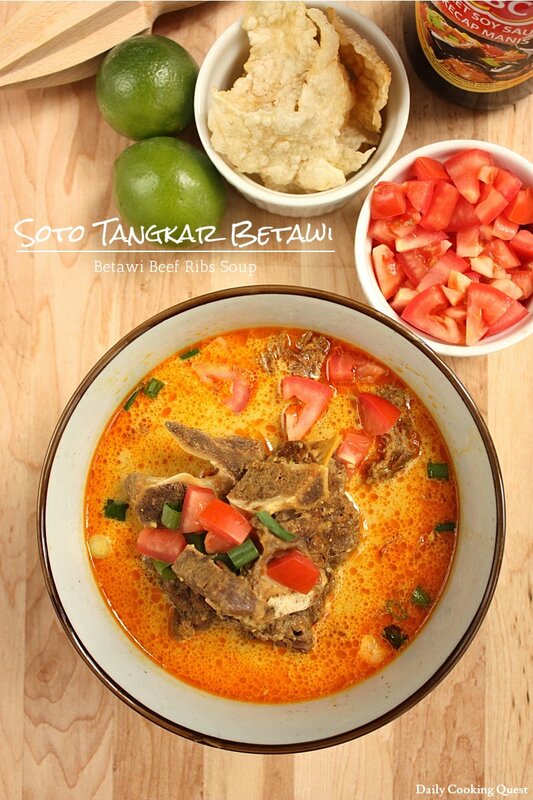 Soto tangkar is another soto from Betawi. 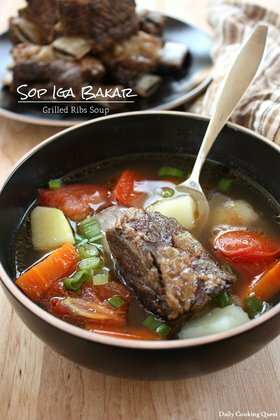 Tangkar means beef ribs in Betawi language, and hence soto tangkar always uses beef ribs as its main ingredient. Back in the old colonial days, whenever a party was held by the Dutch, a whole cow would be cut and some of the lesser choice cuts would be distributed to the locals, and the ribs were such cuts. 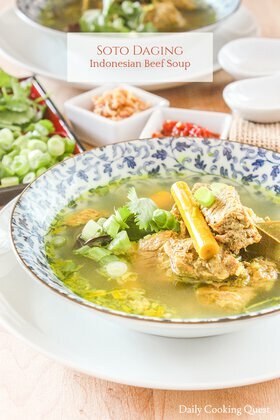 Over time, the locals developed soto tangkar to utilize the leftover ribs. Boil together beef ribs and water in a soup pot, remove scum as needed. Heat oil in a frying pan and fry spice paste, lime leaves, bay leaves, lemongrass, cinnamon stick, and galangal until fragrant, about 5 minutes. Transfer into the soup pot. Reduce heat, cover the pot, and simmer until the meat has become tender, about 2 hours. Pour in the coconut milk, mix well, and bring to a boil. Adjust salt as needed, and turn off the heat. 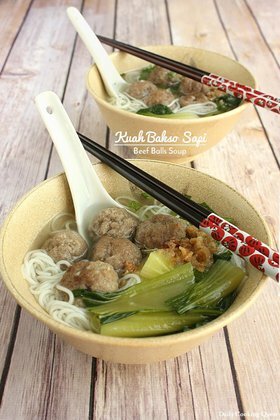 Transfer to serving bowls, and serve with the garnish and accompaniments.